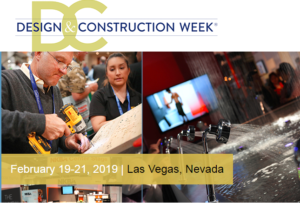 Schaffer Associates looks forward to attending the 6th Annual Design & Construction Week (DCW) in Las Vegas next week, joining thousands of industry leaders for the International Builders’ Show (IBS) and the Kitchen & Bath Industry Show (KBIS). This year’s gathering will continue to highlight the importance of these two shows to our industry. Attendees will have a unique opportunity to build new relationships and educate themselves on emerging products and trends. As always, Design & Construction Week is a can’t-miss event for anyone in our industry. Schaffer Associates is sending senior team members to Las Vegas for DCW, and they are eager to connect with you there. The challenges of hiring and retaining the most talented individuals in our current economy will certainly be one of the main topics of discussion this year. As the industry’s leading executive search and management consulting firm, we’d love to sit down with you in Vegas to discuss what we can bring to your team. In conjunction with DCW, Schaffer Associates is honored to sponsor and attend the Crystal Vision Awards Breakfast on February 20. This important event benefits the Storehouse for World Vision, providing food and shelter for at-risk populations throughout the world. One of several special guests in attendance, our friend Craig Webb, former longtime editor of ProSales and current president of Webb Analytics, will deliver an industry update at this year’s breakfast. You don’t want to miss it! To connect with us in Vegas on February 19th or 20th, please contact Jim Schaffer at Jim@schafferassociates.com or Tom Masson at Tom@schafferassociates.com.